This listing is for a brand NEW package of Dimensional gems. 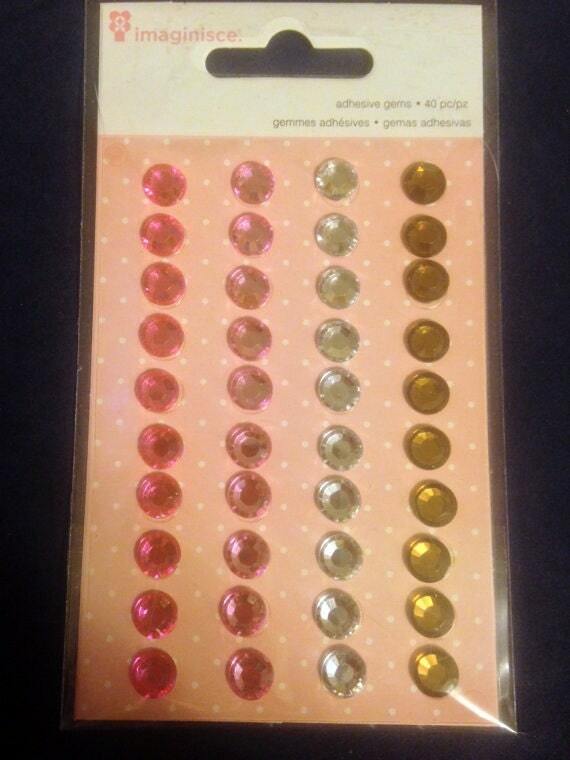 Self Adhesive Gem Stones Approximately 8 mm wide. I love these and use them on my own crafts.